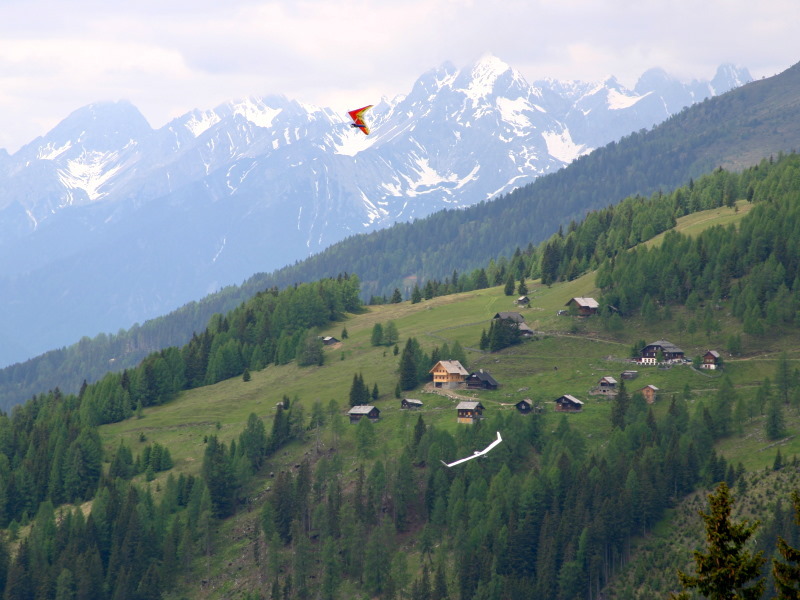 The Oberdrautal in Carinthia with the Emberger Alm is one of the best hang-gliding areas in Europe. 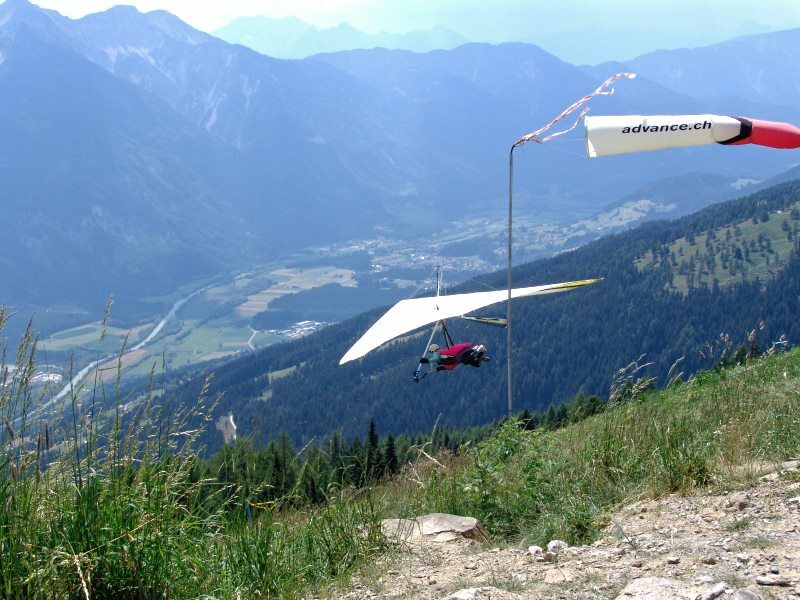 Highlights: 2004 World Championship Hang-gliding and 2004 European Championship hang-gliding on the Emberger Alm. Take advantage of excellent themals and great infrastructure in Greifenburg, Berg im Drautal and on the Emberger Alm! 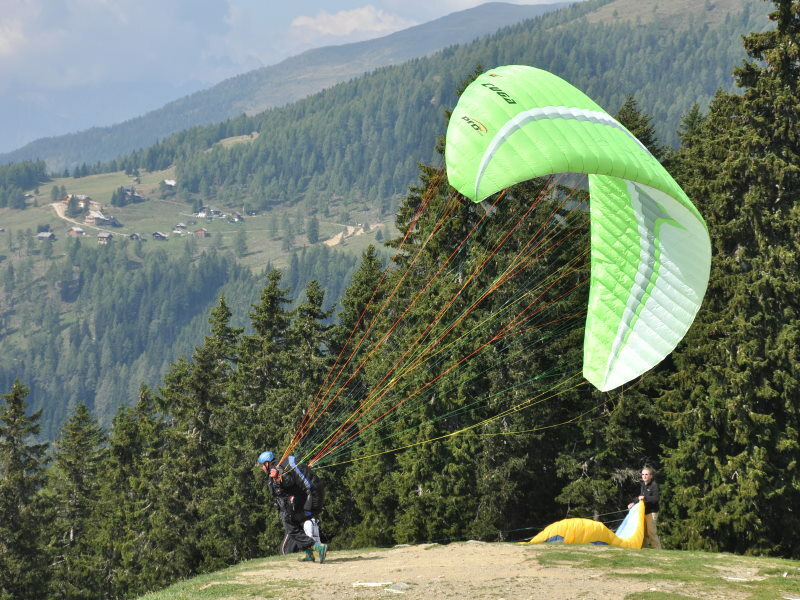 The east-west location of the Drautal-Valley and the south wind, which always blows as a light breeze at higher altitudes, contribute to the flying experience. 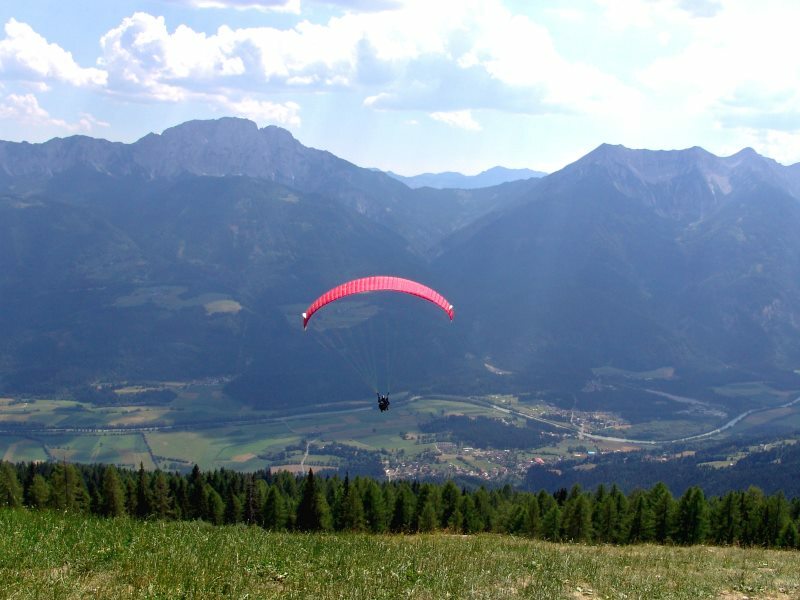 The geographic advantages of the Oberdrautal-Valley were recognized early on, and hang-gliding has always been strongly supported here. The valley is 600 m above sea level and the Emberger Alm just under 1800 m. Flights lasting two or three hours or longer are not uncommon here. You don’t always have a private chauffeur on hand, so on request you can be driven from the Hotel right to the launch site for a fee. 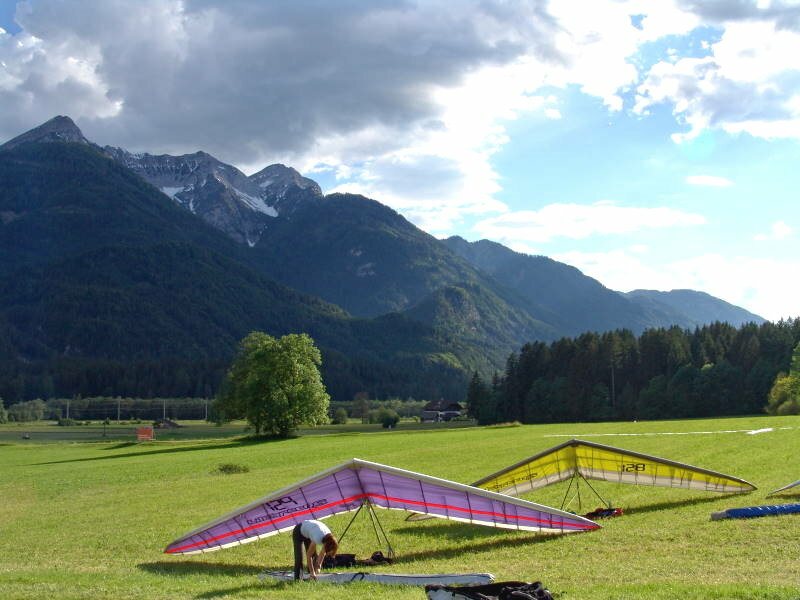 The hang gliding centre on the Emberger Alm is frequented from May to October and even in winter, and there are numerous places to land in the valley: at the swimming lake in Greifenburg and the swimming pool in Berg im Drautal. The meadow below the Hotel is available for planned and unplanned outlandings. Outside summer you can take a take-off and landing course from the open air swimming pool to the meadow below the Hotel. At the Glocknerhof we almost always have a room free. Check the availability here, send us an enquiry, or simply give us a ring on +43 4712 721-0. The circle of hang-gliding fans is constantly getting bigger. The Drautal-Valley inhabitants certainly can’t get over the optimal hang-gliding conditions. 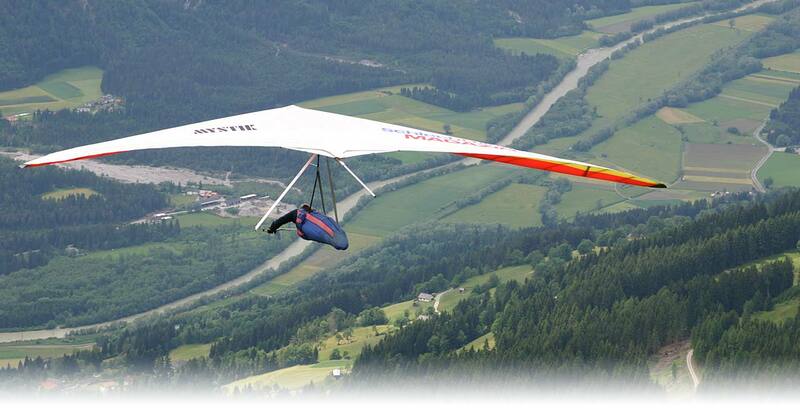 There is a hang-gliding school next to the campgrounds at lake Greifenburg, a wonderful landing zone. Especially beginners should have an easier time getting into the sport there. The management wants to offer an optimal flight-training program, so that this can be a hobby activity without risk.